Hey everyone! 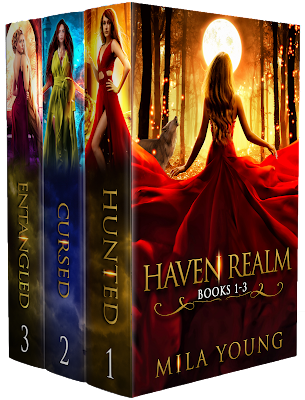 We are super excited to announce a tour we're hosting for a Reverse Harem Fairy Tale Retellings Fantasy Box Set, HAVEN REALM Box Set by Mila Young which releases in February 2019! Everyone who signs up for this tour will be entered to win a $10 Amazon GC! The tour will run for two weeks - from February 11th- 15th & 18th-22nd will have one or two stops per day and will consist of a mix of reviews, interviews, excerpts, & spotlights. 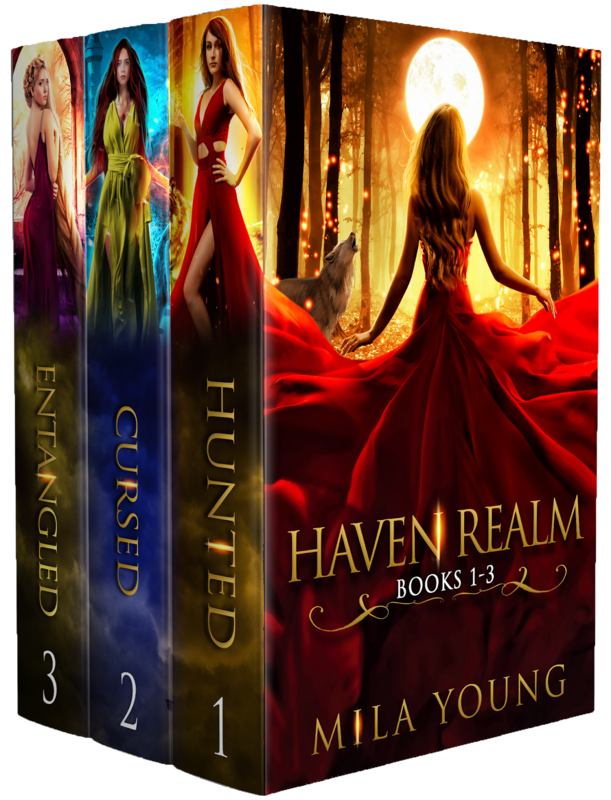 Review copies will be provided by the author and bloggers can review one or all 3 of the books! We are totally stoked for the tour for HAVEN REALM Box Set this February! We can't wait for everyone to read it!